How Much Compensation Can I Claim For Stress At Work? Work related stress is one of the most common forms of work related illnesses in the U.K. People in all walks of life, performing a vast range of job roles can suffer from work related stress. Furthermore, some people are more susceptible to work related stress than others. Compensation for work related stress and depression can be claimed in many cases. This detailed guide aims to help people make a stress at work claim. A guide to claiming compensation for stress at work. The most common causes of stress at work. Differentiating between stress at work and other psychological illness. Stress at work and the armed forces. Stress at work and the emergency services. Stress at work and self-employed or contract workers. Is an employer required to do anything to help with stress at work? Stress at work health & safety considerations. Stress at work facts and statistics. What to do if you have suffered from stress at work. What can be claimed for as compensation for stress at work. No win no fee stress at work claims. How much can i claim for work related stress? How to start a compensation claim for stress at work. Why choose us as your claims service for a stress at work compensation claim? If you suffer from work-related stress or have in the past, then you may likely have a valid reason to claim compensation against your employer. This could be your current employer or a previous employer. When you are trying to claim stress at work compensation payouts you can make a claim up to 6 years previously in the U.K. This short guide is intended to help people who have or are suffering from work related stress, by giving them a detailed overview of the process of making a compensation claim. It covers just what can be claimed for, and attempts to answer the question how much can I claim for work related stress? It also gives some good advice on what you should do prior to making a compensation claim for your case to have the highest likelihood of success. Finally, it explains our No Win No Fee stress at work claims service, and how to begin the process of making a claim. Work Related Stress (WRS) is a psychological and physical health condition that is either primarily caused by or significantly attributed to by a person’s working environment and job role. WRS can lead to a serious problem with coping with day to day life, not just work. It is primarily caused by pressure and unhappiness in the working environment, such as tough deadlines, the worry of unemployment, general unhappiness and abuse from work associates. These can be either tangible effectors that are real. Or intangible effectors which are imagined by the sufferer. High workload – in some jobs, people are simply expected to do too much. Too much work piled up, or tight deadlines, lead to pressure, which can cause people to worry or panic. A prime cause of work related stress. Low workload – surprisingly, job roles that leave a person with insufficient work to keep them busy for a full day, are also very likely to suffer from work related stress due to boredom and lack of stimulation. Too much guidance – people who work in jobs that are highly regimented (such as the armed forces or the police force) often suffer from work related stress due to the lack of freedom they incur. Lack of support – people who find that they have little in the way of support from their fellow workers and managers can feel isolated, leading to work related stress. Inadequate experience or training – people who are asked to perform a job for which they are not fully qualified, may not have the skills needed to tackle the day to day workload. This leads to work related stress, as people worry about not being able to do their job effectively, and fear reprisals. Being promoted above capabilities – often people find themselves promoted into a job which they simply do not have the skillset to tackle. This is especially true for people promoted into a management role, who do not have experience managing others. A very common reason for work-related stress. Worrying about job security – people who are at a risk of being fired, made redundant or their employer going out of business often suffer from work related stress. Abuse from work colleagues – bullying and harassment at work by work colleagues, and often line managers, is a major cause of work related stress. Bad corporate culture – every company has a different corporate culture that evolves over time. In some companies, a toxic, blame orientated culture evolves, and working in such an environment is a major cause of work related stress. Bad management chain and weak management – where people have to report to several managers or are managed by a weak manager, this can lead to work related stress. Furthermore, being over managed is also a major cause of WRS. An uncomfortable work environment – when your place of work is too cold, too hot, damp or uncomfortable in any other way, this can directly lead to work related stress. These are some of the main reasons why people suffer from work related stress, there are many more. If you believe you have a situation at work that has caused WRS, and you would like to know how to make a compensation claim for it, then please contact us. 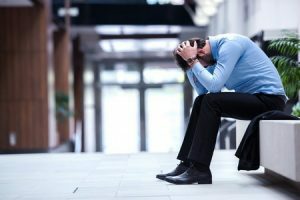 If an employee claims stress at work has had an adverse effect on their quality of life, then the employer could be liable to claim a significant amount of compensation. However, there are a number of psychiatric illnesses that exhibit symptoms similar to stress. For example, depression shares many of the same symptoms but is an entirely different illness that may not have been caused by work. What can complicate things even more, is that WRS can cause depression. If the depression is diagnosed before the WRS, we are in a chicken and egg type of situation when it comes to deciding whether a work related stress claim is valid or not. For this reason, any compensation claim for stress at work will need to be based on the results of a proper medical opinion. We can arrange for a local medical examination if you need one. Unsurprisingly, being a member of the armed forces means you are in one of the jobs that are most likely to result in work related stress. This is especially true whilst on deployment. As a member of the armed forces suffering from WRS, you would need to make a claim through the Armed Forces Compensation Scheme (AFCS). This is something we are happy to assist you in doing. Just use the contact details at the bottom of the page to get in touch. Many people serving in the army, air force and navy do not realise they may be able to claim compensation for work related stress whilst they are enlisted. Simply signing up for the armed forces does not take away your right to a safe and healthy working environment. Each of the armed forces is regulated under Health & Safety legislation and has to comply just like commercial companies do. Working in the Police Force, the Fire Brigade or the Ambulance Service are all highly stressful jobs, that can lead to full blown work-related stress. Indeed, members of the emergency service are amongst the most likely people to suffer from WRS. However, unlike the armed forces, there is no special Government operated body that deals with compensation claims made by members of the emergency services. They are treated purely as civilians in the eyes of the law for WRD claims. So, you will likely benefit from using our WRS claims service to help you get the compensation you deserve. Just because you are not directly employed by a company, does not prevent you from claiming against them for work-related stress. When the Government changed tax legislation back in the late 1990s and introduced the IR35 laws, it was stated that any freelance or contract worker, who works for a single company in the long-term, will be treated as a regularly employed person for tax purposes. This definition carries over to the situation whereby a contractor wants to make a claim for work related stress compensation. The U.K. Health & Safety Executive sets out strict legislative requirements when it comes to dealing with stress at work. b) causes of stress are proactively sought and removed from the work environment. However, many employers take matters much further, making sure that employees are reviewed regularly for signs of stress, and that counselling is available at work for people who are showing any symptoms of stress, however mild. As mentioned above, every company must comply with the specific HSE regulations that apply to their industry, when it comes to stress at work. The HSE also publishes plenty of source material, for not only the company but also individuals to learn how to deal with the things that cause work related stress. For example, there are guidelines regarding stress for line managers to learn from and to discover how best to manage their staff in a way that alleviates stress. The most important is likely the guidelines produced by the HSE for MR managers, on how to eradicate stress from corporate culture. In the year 2015 to 2016, there were almost half a million cases of work related stress recorded. This works out to just over 1,500 workers out of every 100,000. It is estimated that in the same period, almost 12 million work days were lost due to some form of work related stress. People suffering from work related stress took on average 29 days off a year due to it. Create a timeline of your stress – try and work out when you first noticed the symptoms of work related stress, and what you believe may have caused it. Create a timeline of other events at work that contributed to your work-related stress. See a counsellor – either at your workplace or through your GP. You will need a positive diagnosis of work related stress from a registered medical professional to make a compensation claim. List the effects on your life – such as lowering your enjoyment of social events, causing you to lose sleep due to constant worry, and acuter physical symptoms such as depression and anxiety. List any monetary losses – if you have had to cancel a holiday, lost income through time off work, or any other form of expense, then list these down so that you can claim compensation for them. Get expert legal help – such as the No Win No Fee work related stress claims service that we offer. When it comes to discussing the stress at work claim amount, the situation is far from clear cut. General damages – these are all of the physical aspects of the condition. Although the physical side of work related stress is quite hard to quantify, there are some tangible ones. For example, people suffering from work related stress sometimes also suffer from depression, anxiety or general lethargy. Special damages – anything not to do with the physical effects of the condition, that are being claimed for in compensation, comes under general damages. This will include direct expenses such as medical costs, incurred because of work related stress. It also includes other financial costs, such as cancelling a planned event that has already been paid for. All medical fees and ongoing cost of treatment also come under general damages, as does care costs. These are the basic outlines of general and special damages. Contact us and tell us about your claim, so we can let you know if any other forms of compensation could be claimed. It costs money to pursue stress at work claims. The legal fees involved can be quite high. Even if you do pay your own legal costs, and you fail to win your case, you will lose them. But why take the risk? We have a solution. We offer a No Win No Fee stress at work claims service. What this means, is that you won’t need to pay any fees at all during the time we are helping you with your compensation claim. Once your claim is complete, and we have won a work-related stress compensation payout, we will then take our fees directly from the money you receive. If we don’t win your case, then you don’t pay us anything at all. No risk at all, so there is no reason not to begin your claim today should costs concern you. Coming up with an average payout for stress at work is pretty much impossible. Each case of work related stress is different, and some are more severe than others. This is why just about every stress compensation calculator you will find online always gets the numbers wrong. No work-related stress compensation calculator can factor in the many issues that form part of a work related stress claim. The numbers below are based on similar claims and can be used as a ballpark figure. Psychiatric Damage Severe £41,675 to £88,000 Serious long-term effects of stress, having adverse effects upon quality of life. Psychiatric Damage Moderately severe £14,500 to £41,675 Significant medium-term effect upon the quality of life. Psychiatric Damage Moderate £4,450 to £14,500 Very slight stress, with almost no effect on life outside of work. Psychiatric Damage Minor £1,170 to £4,450 Minor, short term incidents of stress such as panic attacks. Please note that the numbers above related to general damages only. Special damages will be unique on a case by case basis, so call us now to find out how much we think we can win for you. will go through a free consultation with your, to learn about all the aspects of your compensation claim. Once we have all the facts, we will offer our advice on what you should do next. For most people, we will offer our No Win No Fee work related stress claims service. If needed, we can also arrange for a local medical examination, so that the physical aspects of your condition are documented properly, before starting your claim for work related stress. Although most solicitors can assist in making a work-related stress claim, some are more experienced than others. 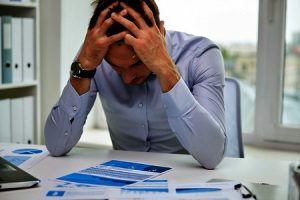 What happens if you choose a solicitor without proper work related stress experience, and your case goes to work related stress claims employment tribunal? Will your solicitor be able to tackle it properly? We have many years of experience and hundreds of cases under our belt. Our in-house team of solicitors have experience in a wide range of work related illnesses, not just work-related stress. We treat each client in a professional, yet friendly manner, and try to keep the legal jargon to the minimum when keeping our clients updated about their case. We always try to get you the most compensation possible, whilst working ethically and doing nothing that could jeopardise your claim. Do you believe you are suffering from work related stress in your current job? Did you exhibit the symptoms of WRS whilst working in a previous job, and they have continued to affect your life? If you answered yes to either of these questions, then you need to contact us so that we can help y claim the compensation you are entitled to. You can email us, use the contact form on this site, or talk to us right now using either live chat or calling 0800 073 8804. Contact us now, so we can begin your work-related stress compensation claim for you today. Health & Safety Executive and work-related stress. National Health Service and work-related stress. ACAS dealing with stress at work guide. How Much Compensation For An Accident At Work? Find out how much compensation you can claim for a work accident claim. Stress can also cause accidents at work. Contact us today for free advice on injuries at work. How Much Compensation Can I Claim For Bullying At Work? If you are the victim of bullying at work contact us today to find out if you can claim compensation. How Much Compensation Can I Claim For Post Traumatic Stress Disorder? If you are suffering from ( PTSD ) Post Traumatic Stress Disorder find out if you have a claim get free advice today.